Is proud to be a member of the New Jersey Theater Alliance. 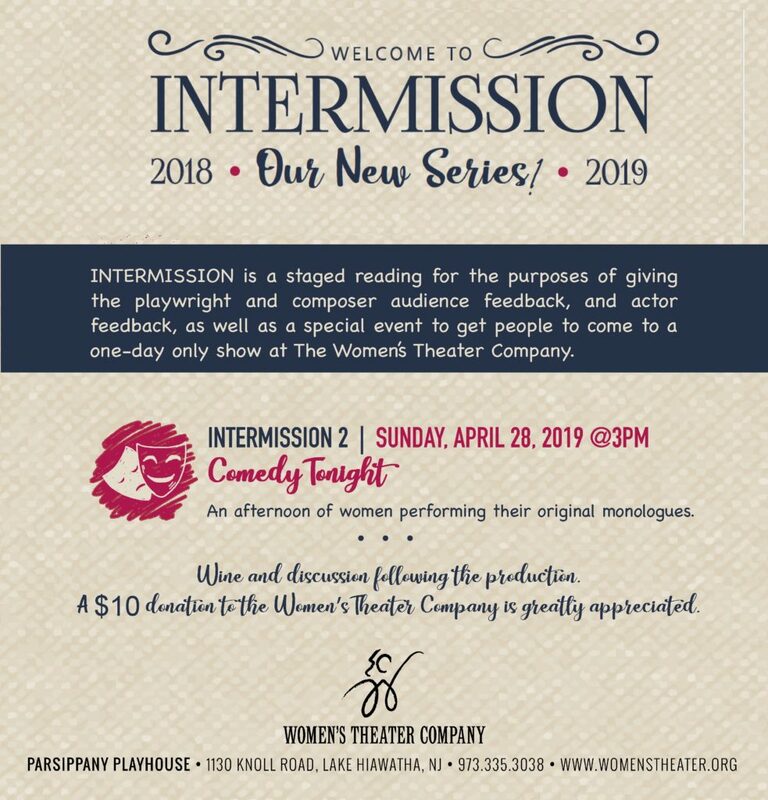 Funding for the Women’s Theater Company has been made possible in part by funds from the Arts Council of the Morris Area through the New Jersey State Council on the Art/Department of State, a Partner Agency of the National Endowment for the Arts. Funding from the Kiwanis Club of the Greater New Jersey Area in Parsippany to help keep theater alive in Parsippany, and a Matching Grant from IBM and Roberta and Robert Kanarick.